Your patio is a great place to entertain guests especially during the summer. You can have cook outs, bonfires or just hang out with friends and family. However, you may need a patio makeover to ensure that it’s ready for that much attention. There are many ways you can go about improving the look and functionality of your patio. From building a deck to adding a fire pit, there’s no shortage of awesome ideas at your disposal. In this article, we’ll show you our 8 favorite patio makeover ideas so you can turn yours into the ultimate hangout spot. Let’s get started. Many homeowners build a deck for their patio and it’s a great idea. There are so many different ways you can use your deck. It helps separate your patio from the rest of the yard and is visually pleasing. You can even have your deck built around a pool. What Will Your Deck be Made Of? It’s important to choose the right material to build your deck. You have many options including stone, brick and wood. Stone and brick look stunning and are easy to care for but are far more expensive. 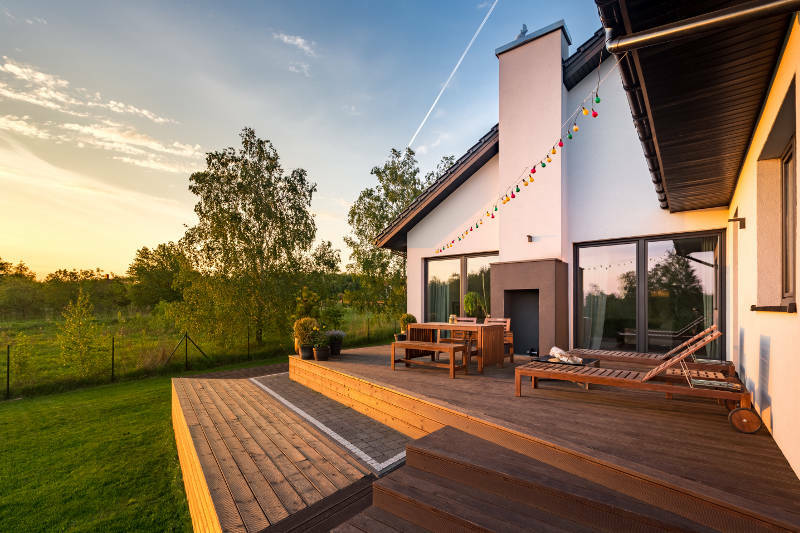 Wood decks are more traditional and affordable but will need to be painted and stained over time because of the exposure to the elements. Whether or not you decide to build a deck, you’ll still need furniture for your patio makeover. There are so many different types of patio furniture available including tables, chairs, benches, swings, hammock and the list goes on. If you’re looking for a patio table and chair set, you’ll need to determine what material your furniture is made from. Wicker is the most beautiful, but more expensive, option. You can get a raw iron patio set which looks great and is durable but can rust. A plastic table and chair set is cheap and easy to care for but doesn’t look as nice as the other options. It’s important that you get a set large enough for get togethers. You’ll need enough seating for everyone who is coming over. No patio makeover is complete without a fire pit. Whether you’re roasting weenies, making s’mores or just hanging out with friends, you need a fire pit for your patio. 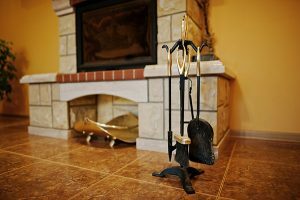 Many department and hardware stores offer freestanding fire pits at an affordable price. These will get the job done, but if you want something a little nicer, you can have one built into your patio or deck. 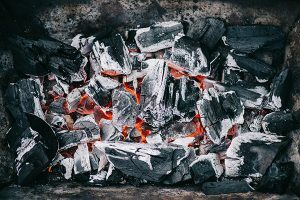 Cement and stone fire pits that are built into your patio or deck look absolutely stunning and can hold a much larger fire. They’re also less likely to be damaged by fire and are easy to maintain. While they’re more expensive, they’re well worth the price. If you’re hanging out on your patio during a hot summer day, it can become very uncomfortable. The sun could be sweltering and beating down on you. This problem is completely avoided when you get a retractable awning. Retractable awnings are installed to the side of your home and retract and detract from your home with ease. There are manual models that open with a hand crank or motorized ones that can be opened with a remote control. Believe it or not, the shade under a retractable awning can be up to 20 degrees cooler and protects you from the sun’s harmful UV rays. They can be customized to fit the size of your home so there’s no need to worry about them not covering enough space. Early Times is Chicago’s premium retractable awning provider. 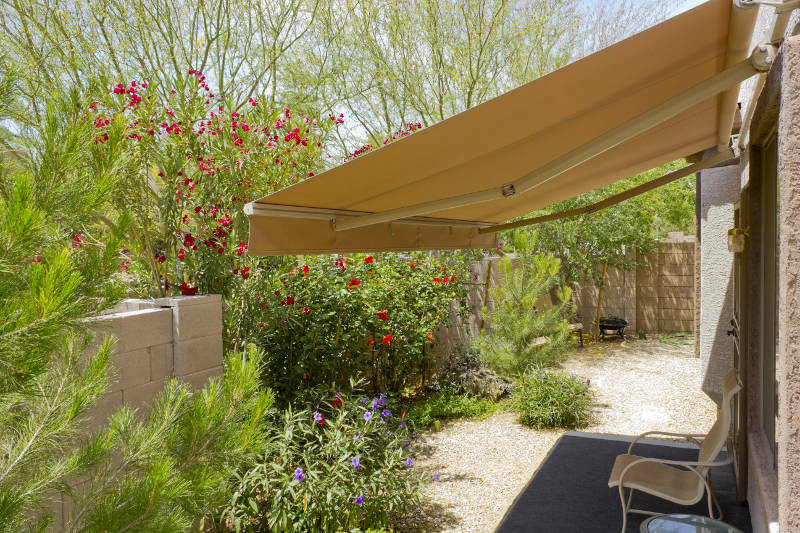 We make sure you get the perfect awning for your patio and can customize the size, shape and pattern. Get a free quote now and see why thousands of homeowners have trusted us. Some of the following ideas may seem extremely extravagant but, if you have the space and money, are great additions to your patio. They’ll give your home the “wow” factor that you won’t get with other patio makeover ideas. We’ll list a couple of our favorites below. If you think a built in fire pit looks great, you haven’t seen anything yet. 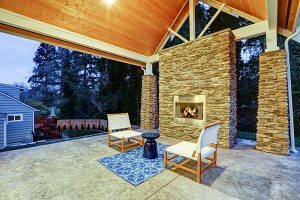 An outdoor fireplace oozes style and beauty while keeping your patio warm during a cool fall night. 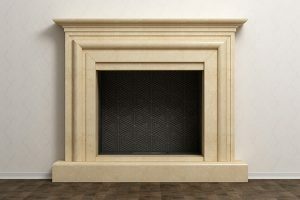 There are wood burning, gas and electric options available. Now this might seem a little crazy, but if you have enough space for a hot tub on your patio, get one. They’re a great place to entertain guests or relax after a long day of work. While there’s some maintenance to owning a hot tub, it’s well worth it. Another awesome way to use your patio is to create an outdoor kitchen. This can be as simple as a grill, table and chairs or get elaborate with an entire kitchen set including counter space, pizza oven and mini fridge. The sky is the limit with an outdoor kitchen. Nothing goes better with a kitchen than a bar. Having a bar on your patio gives your entire backyard a unique style and entertainment factor that you won’t get with other patio makeover ideas. You’ll need a bar, stools and glassware for sure. If you can get water and electric lines running to your bar, then a fridge, TV and functioning sink are great additions to your bar as well. Having a personal garden is a great way to relax after a stressful day. You can tend to your garden and watch your plants and flowers grow. It’ll also look extremely gorgeous and add some flair to your patio. You can also grow fresh vegetables and herbs in your garden. Nothing tastes better than fresh food and you can have your own vegetable garden right in your backyard. Just make sure you tend to your plants regularly. Gardening may be relaxing, but nothing is more peaceful and serine than a koi pond. You can have a small pond next to your patio or an elaborate river and waterfall set up that takes up half of your yard. Whichever you choose you know you’re getting one of the most gorgeous patio makeover ideas. Let the sound of running water take you to a more peaceful place as you unwind after the hustle and bustle of everyday life. You can even have fish in your koi pond. Just like all other pets, you’ll need to care for them and clean your koi pond regularly but they’re a beautiful touch to an already stunning piece. Start Your Patio Makeover Today! You can start your patio makeover now and create the ultimate hang out spot. 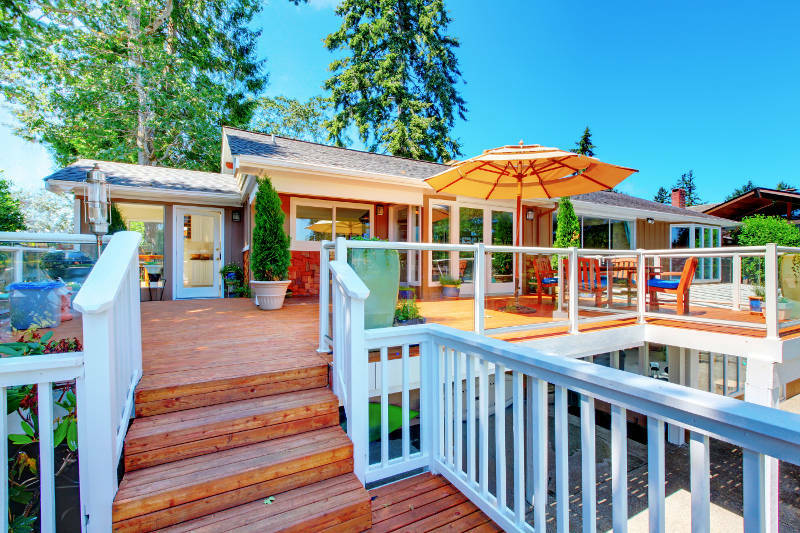 Some ideas like building a deck or koi pond may take some time, but other ideas like an outdoor kitchen or retractable awning can happen immediately. Early Times is here to help you find the perfect retractable awning for your home. Get a free quote now and get started with your patio makeover today.